Sherman Alexie (born October 7, 1966) is a novelist, short story writer, poet, and filmmaker who has published over 25 books. Born on the Spokane Indian Reservation in Wellpinit, Washington, Alexie has been a key contributor to Indigenous Nationalism literature, drawing on his experiences with ancestry from several tribes. Fast Facts: Sherman Alexie, Jr. Known For: Prize Winning poet, novelist, performer, and filmmaker. Born: October 7, 1966, Spokane Indian Reservation in Wellpinit, Washington. Parents: Lillian and Sherman Alexie, Sr.
Education: Reservation schools on the Spokane Indian Reservation, Reardon High School, Gonzaga University, Washington State University. Published Works: "You Don't Have to Say You Love Me: A Memoir," 25 other books. 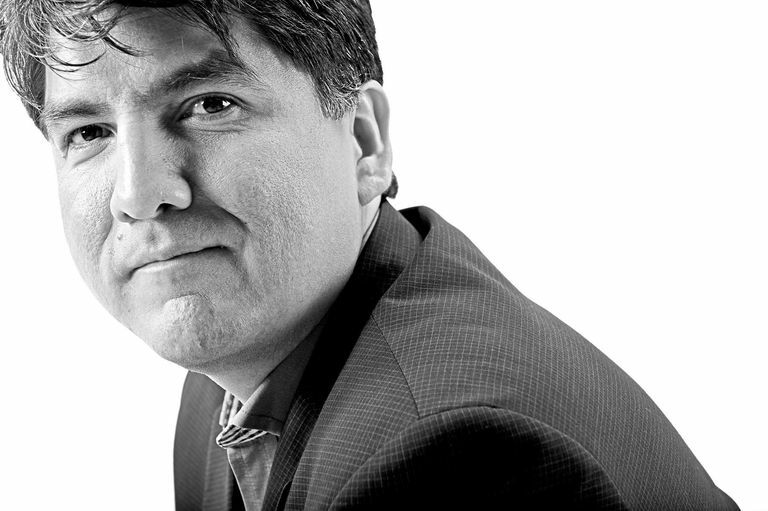 Sherman Alexie, Jr., was born Sherman Joseph Alexie, Jr. on October 7, 1966. He is the second son of four children of Lillian and Sherman Alexie, Sr. Lillian Cox (1936–2015), was a Spokane Indian, one of the last fluent speakers of the language; Sherman Sr, , who died in 2015, was a member of the Coeur d’Alene tribe. Sherman Jr. was born hydrocephalic (with water on the brain) and at six months underwent a brain operation from which he was not expected to survive. He did more than that. Despite the resulting childhood seizures, Alexie turned out to be an advanced reader and was purportedly reading novels like ​The Grapes of Wrath at the age of five. Alexie was diagnosed with biopolar disease in 2010, but he believes he suffered from it as a young child. As a teenager enrolled in the reservation schools, Alexie found his mother's name written in a textbook assigned to him. Determined not to spend his life on the reservation, he sought a better education at the high school in Reardan, Washington, where he was a top student and a star basketball player. Upon graduation in 1985, Alexie attended Gonzaga University on a scholarship from which he transferred to Washington State University after two years to study pre-med. Fainting spells in anatomy class convinced Alexie to change his major, a decision reinforced by a love of poetry and an aptitude for writing. He graduated with a bachelor's degree in American Studies and shortly thereafter received the Washington State Arts Commission Poetry Fellowship and the National Endowment for the Arts Poetry Fellowship. As a young man, Alexie struggled with alcoholism but gave up drinking at the age of 23 and has been sober since. Alexie's first collection of short stories, "The Lone Ranger and Tonto Fistfight in Heaven" (1993) won him a PEN/Hemingway Award for Best First Book of Fiction. He followed up with a first novel, "Reservation Blues" (1995) and a second, "Indian Killer" (1996), both award winners. In 2010, Alexie was awarded the PEN/Faulkner Award for his short story collection, "War Dances." Alexie, whose work draws mainly from his experiences as a Native American both on and off the reservation, collaborated in 1997 with Chris Eyre, a Cheyenne/Arapaho Indian filmmaker. The pair rewrote one of Alexie's short stories, "This is What it Means to Say Phoenix, Arizona," into a screenplay. The resulting film, "Smoke Signals," premiered at the 1998 Sundance Film Festival and went on to win several awards. Alexie went on to write and direct "The Business of Fancydancing" in 2002, wrote 49? in 2003, presented "The Exiles" in 2008 and participated in "Sonicsgate" in 2009. Sherman Alexie is the recipient of numerous literary and artistic awards. He was a World Poetry Bout Association champion for four consecutive years, and a guest editor of the literary journal Ploughshares; his short story "What You Pawn I Will Redeem" was selected by juror Ann Patchett as her favorite story for The O. Henry Prize Stories 2005. During the same year ​that he was awarded the PEN/Faulkner Award for War Dances in 2010, he was awarded the Native Writers' Circle of the Americas Lifetime Achievement Award, became the first American Puterbaugh Fellow, and earned the California Young Reader Medal for The Absolutely True Diary of a Part-Time Indian. In March, 2018, three women went on record to accuse Sherman Alexie of sexual harassment. That same month, he acknowledged wrongdoing and apologized, and at the same time declined to accept the Carnegie Medal he had been awarded in the previous month. In April, 2018, Alexie's memoir, "You Don't Have to Love Me" was delayed at the publisher's request but eventually published in June. In December, 2018, his film "Smoke Signals" was named by the Library of Congress to the National Film Registry. Alexie lives in Seattle with his wife and two sons. Alexie, Sherman. "You Don't Have to Say You Love Me: A Memoir." New York, Falls Apart Productions, 2017. ---. "The Absolute True Diary of a Part-Time Indian." New York: Little, Brown and Company, 2007. Laban, Monique. "Why Sherman Alexie’s Sexual Misconduct Feels Like a Betrayal." 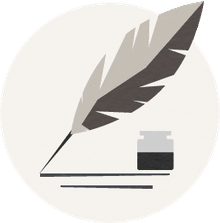 Electric Literature, March 20, 2018. Neary, Lynn. "'It Just Felt Very Wrong': Sherman Alexie's Accusers Go On The Record." National Public Radio, March 5, 2018.